Access available 24/7 with room key. Our expansive fitness center offers state-of-the-art cardio machines and a full array of workout equipment with generous space for stretching and core work. Guests may book a one-on-one session with a personal trainer or yoga instructor for an in-depth experience tailored to personal fitness goals. One-on-one sessions require a minimum 24-hour notice by calling (801) 258-6568 or at spa@grandamerica.com. Open year-round, our world-class indoor pool provides a tranquil setting for lap swimming or relaxation in the whirlpool. Complimentary with a confirmed spa appointment. The daily access fee for registered hotel guests is $10 per room, per day. Hours: Closed for the season. No lifeguard on duty. Children require adult supervision. Questions can be directed to spa@grandamerica.com or at (801) 258-6568. *Spa guests must book a minimum service of $75 or more to receive outdoor pool access. Guest passes are not available. All lounges and cabanas are available on first come, first serve basis and are not available for rental. Welcome to Salt Lake City’s most luxurious hotel. To ensure a truly “Grand” experience for our younger guests, we offer an array of amenities to make their stay comfortable and enjoyable. To arrange for these amenities, please contact our reservations department before your visit. We require names and ages of the children in your party, any specific requests (see our list of offerings below) as well as any special occasion you may be celebrating. Email us in advance with this information at reservations@grandamerica.com and it will be our pleasure to assist you. All aforementioned amenities are free of charge; we suggest requesting amenities before your visit as items are subject to availability. The Concierge can assist with finding a babysitter to fit your needs. For further information and applicable rates, or to schedule, please contact the Concierge by dialing (801) 258-6703 or 26703 from your guest room. Planning to explore beautiful Salt Lake City? Our concierge will be happy to provide family-friendly dining, entertainment and activity suggestions. 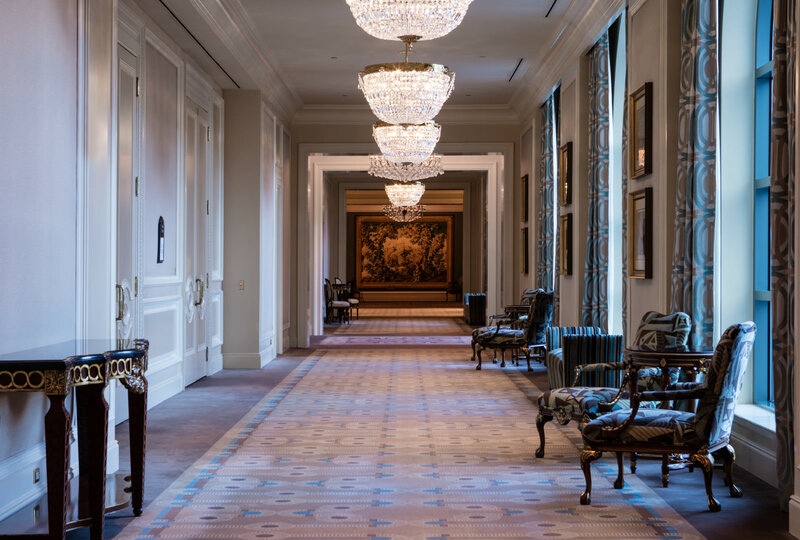 For private tours, VIP amenities or questions about The Grand America Hotel, please contact our Grand Ambassadors at ambassador@grandamerica.com. From a light snack to a gourmet meal, guests can enjoy The Grand America Hotel’s delicious cuisine with the privacy and convenience of 24-hour in-room dining. The Concierge Service at The Grand America Hotel can assist you in creating the most memorable experiences. With the best of the city’s shopping, dining, and attractions just minutes away, The Grand America is perfectly positioned to grant any request you may have. If you are a registered guest of The Grand America, please contact us so we may help you. Please contact us by calling: (801) 258-6703 or sending an e-mail to gaconcierge@grandamerica.com. Transportation to and from The Grand America. Our preferred transportation provider Haroon Transportation offers round-trip and one-way airport transfers between the Salt Lake City International Airport and The Grand America Hotel, reservations are required. At The Grand America Hotel, reservations can be made through our Concierge at (801) 258-6703. Taxi service is available throughout the city. Taxi fare from the Salt Lake City International Airport to The Grand America Hotel runs approximately $20, not including gratuity. Taxis can be found outside of the baggage claim area of each terminal at the airport. Haroon Transportation can provide town cars, limousines, SUVs and 12-passenger vans. Haroon Transportation offers round-trip or one-way transfers, meet and greet service, and curbside pick-up. If you would like to reserve a vehicle, please contact the Grand America Concierge by calling (801) 258-6703 or by email at gaconcierge@grandamerica.com. If you would like to rent a vehicle during your stay, reservations can be made by the Grand America Concierge. The Grand America is within a few blocks of Enterprise, Budget and Hertz rental car agencies. The Grand America Hotel has two Tesla Destination charging stations with 80amp maximum output per station and one Universal charging station (J-1772 plug) with 30amp maximum output. The Tesla stations can charge the Model S, Model X and all future models. The stations are located in our valet area and all chargers have 25 feet of cable per station. If you have further questions regarding our charging stations, please contact our Concierge at (801) 258-6703. Our Business Center lets you conduct business efficiently and smoothly while relying on The Grand America Hotel’s renowned attention to detail. Conveniently located on the ground floor, the semi-private cubicles of the Business Center allow you to focus on your work. For faxes to a registered hotel guest, include the guest’s full name and the number of pages sent. All incoming and outgoing faxes are assessed a fee. Call for domestic and international rates. Black and white or color copies, including reducing, enlarging and collating. Incoming boxes will have an automatic delivery charge posted to the guestroom of $10 for small-medium boxes and $15 for large boxes. Outgoing boxes will be shipped out through the Business Center and will have a handling fee assessed, as well as packaging if needed.